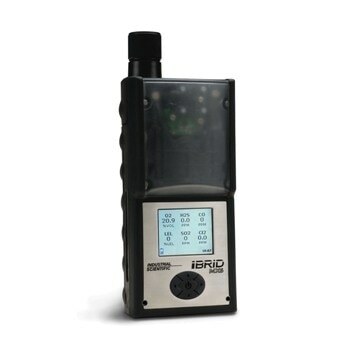 The MX6 iBrid® Gas Detector offers users with the ability to monitor and display hazardous levels of oxygen, toxic and potentially combustible gases, as well as volatile organic compounds (VOCs). As a highly intelligent hybrid appliance that is equipped with Industrial Scientific’s most promising monitoring technologies, the MX6 iBrid® is the first gas monitor to be equipped with a full-color LCD display screen. This screen has been shown to significantly improve safety by providing users with clear and visible readings that describe whether there is low light, bright light or any level of light in between. 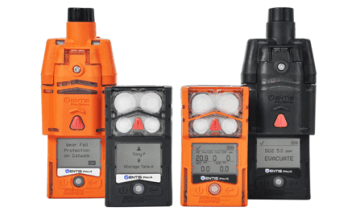 This advanced technology allows the MX6 iBrid® to operate well in any type of condition ranging from indoors, outdoors or even underground, thereby ensuring that gas hazards are always detected and reported. The LED color display on the MX6 iBrid® Gas Detector also enables the inclusion of an intuitive menu system, five-way navigation button and easy-to-use step-based instrument settings. Additionally, the inbuilt display also supports an on-board graphing option that allows users to access and visualize direct readings and recorded data in real time. As an exceptionally robust tool, the MX6 iBrid® is also fully compatible with the iNet® Instrument Network and the DSX™ Docking Station.